Through the work that we do in Tell MAMA, it is clear we have been blessed with many people who are committed to tackling anti-Muslim hatred. Many of these people do the work selflessly and with commitment to tackling prejudice, bigotry and hatred. We honour and value them. On the rare occasions where there are concerns, they come about due to individuals acting beyond their capacity in an advisory role to Tell MAMA and potentially affecting the values and ethos on which we are built. This cannot be allowed to happen. We recently highlighted an example of those who have sought to undermine the reputation of Tell MAMA by. These links can be found here and here. A collective decision made within the structures of Tell MAMA means that we cannot work with such groups and those who try to go beyond existing structures within Tell MAMA, with a view to engaging such groups with any of the senior leadership team of Tell MAMA, cannot in our collective view, continue with us. There are core values that we are built on within Tell MAMA which mean that those who pick and choose on issues of equality at the expense of others, are people and organisations we will not work with or engage with. 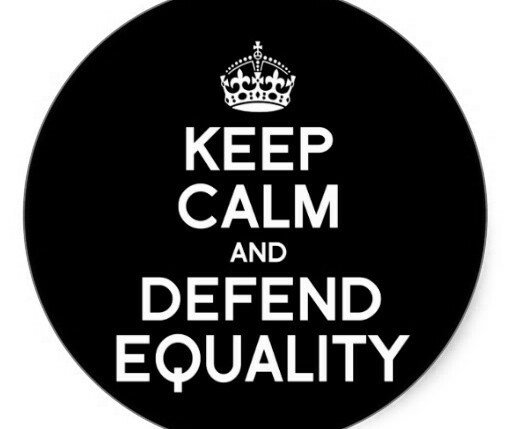 There is no ‘picking and choosing’ on issues of equality. It is as simple as that. We wish Mohammed Amin the best. That’s the chanting Hira had to listen to a she travelled alone on a train. The group of men had already asked if she had a “bomb under her scarf”, made comments about eating bacon and had alcohol poured on her. But most shockingly of all, not one of her fellow passengers stepped in, or even asked if she was alright. She said: “They started chanting. I asked the person abusing me to stop but he wouldn’t. Hira’s case isn’t unusual – research has found that abusive behaviour towards Muslims is regularly going unchallenged by passers-by, leading to claims that Britain is lacking “a sense of common humanity”. Research by the Islamic Human Rights Commission, which found that between 2010 and 2014 the number of people who reported seeing Islamophobia directed at someone else leapt from 50% to 82%. Tell MAMA (Measuring Anti-Muslim Attacks) has released a series of reports looking at incidents including threats of violence, verbal and physical abuse. In some cases, Muslim men and women said that they had removed their headscarves or shaved their beards in an attempt to avoid being targeted. Particularly shocking was the fact that in many cases, no-one who witnessed the abuse offered any form of help or comfort to victims. Fiyaz Mughal, director of Tell MAMA, says this reluctance of passers-by to get involved was disturbing. He tells The Huffington Post UK: “A lot of victims – this not just a one-off – are saying no one is helping them when they’re in trouble or when they are targeted. That’s a concern. “It doesn’t mean getting involved in the fray, just giving that reassurance. But people were just walking past. “It doubles the impact of alienation and isolation within the community. It’s a them and us situation. “People think ‘oh it’s just on of those people getting attacked, I don’t want to get involved’.